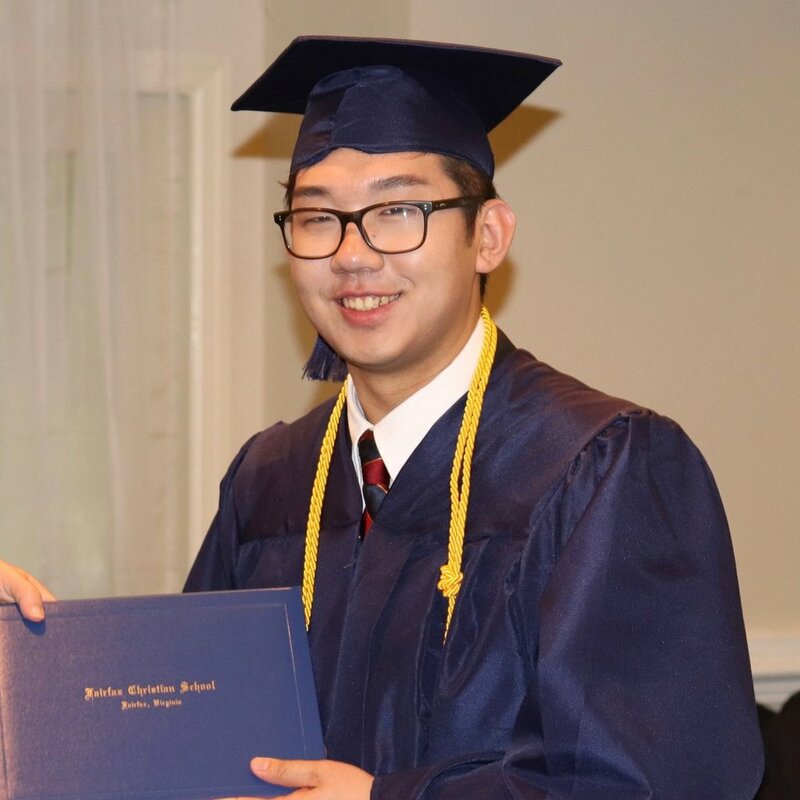 The Fairfax Christian School Class of 2018 graduated on Thursday, May 31. The ceremony took place at Hidden Creek Country Club and included inspiring performances by the Fife & Drum Corps and A Cappella Choir. Our special speaker was Dr. Walter Hays. Dr. Hays has served on the school staff since 2001. In his address to the graduates, he challenged them to think of themselves as works in progress and that the finishing of high school was not the end of that work. Dr. Hays used a basket to illustrate how God’s influence is all around them, weaving their lives to form them into His masterpieces. He encouraged the seniors to look for ways God is working in their lives and to be thankful for those moments. Upon the completion of his speech, Dr. Hays received a retirement plaque honoring his life and his seventeen years of dedicated service given to the Fairfax Christian School. A highly regarded recognition went to our Valedictorian, Ji Eun Kim, and to our Salutatorians, Uiyeong Ji and Qihang Xu. They will be attending the University of Pittsburgh, Virginia Tech and the University of Washington respectively. This was the last graduation to be held at Hidden Creek as we will host the 2019 Graduation at the new Dulles campus.